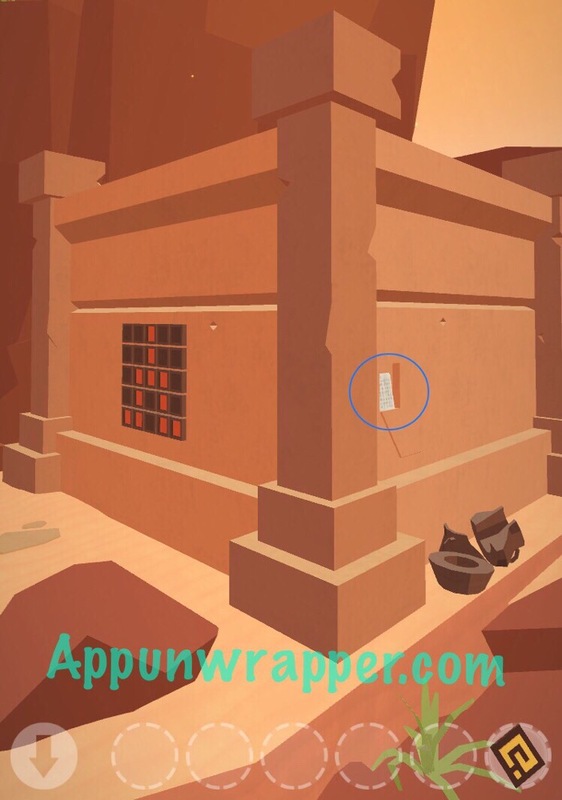 This is a complete a step-by-step walkthrough guide with hints tips, tricks, answers and solutions for the iOS and Android puzzle adventure game, Faraway: Puzzle Escape by Mousecity and Pine Studio. It includes all the letters (or notes) and how to find them. Feel free to ask for extra help in the comments section. See my Faraway 2 guide. See my Faraway 3 guide. See my Faraway 4 guide. If you already completed the main game and want to discuss Level 0 and the coordinates, please go here. 1. Swipe down to open the door. Go through. 2. Pull the two gold sliders out and continue through. 3. Turn right and pick up a letter. Turn left and break the jars to find another letter. 4. Look at the symbol on the wall and then go to the table and press in the pegs to copy the symbol. 5. Go through the door and up the ladder. Pick up the tile. 6. 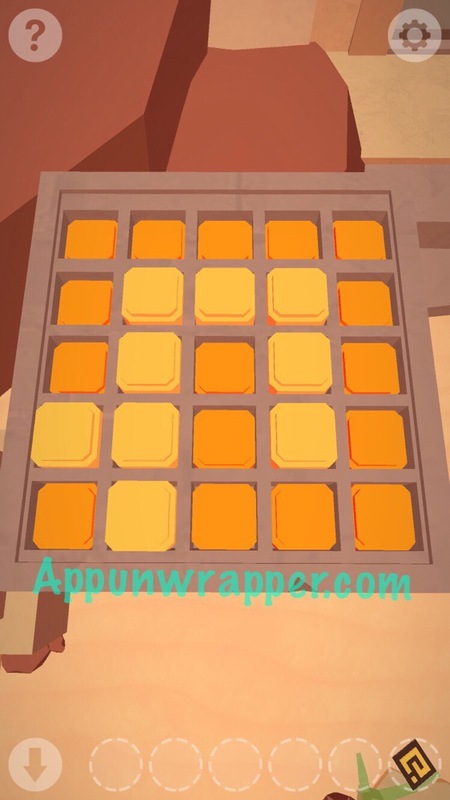 Go back down and copy the design on the tile onto the table with buttons. A secret panel will open, revealing the third letter! Take it. Notice there are some coordinates on the bottom of it. We’ll look at those again later. 7. 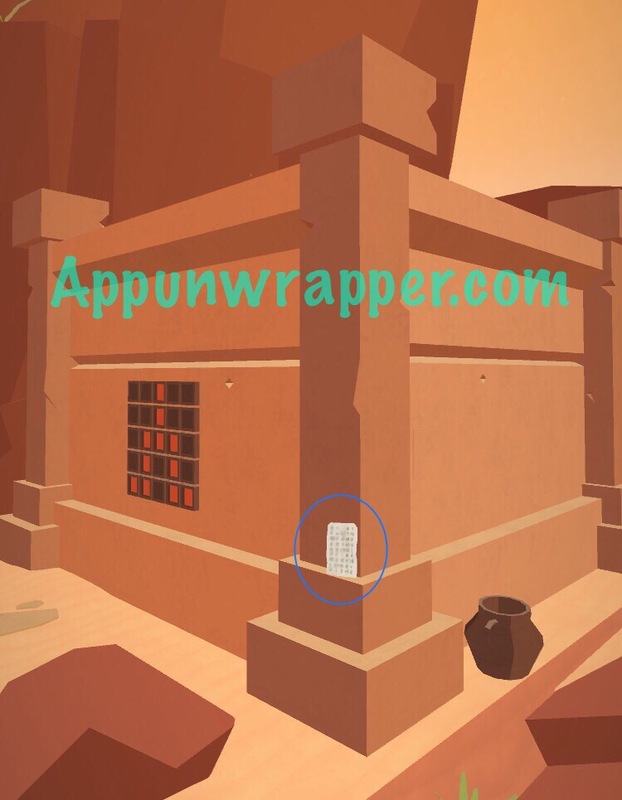 Go back up and place the tile above the portal and go through to complete the level. Click on the little numbers below to continue to Level 2 or click here. Next Post‘Artificial Superintelligence’ Review: Play It, Meatbags! Where is the end of 8?! Still working on the walkthrough. Please bear with me! Did you finish Level 9 yet? Not yet. Will work on it more tomorrow. Was working on other walkthroughs and reviews. I finished it. Just need to work on the walkthrough for it. Hi. Where do I find the 3 letter in level 14? 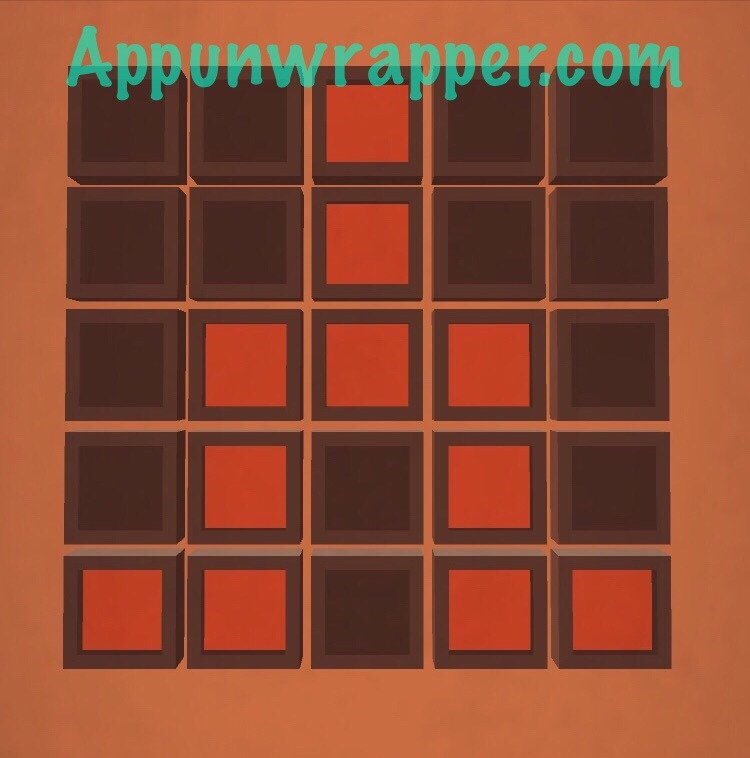 If you need help with the explanation of the triangl puzzles in level 15 (especially the last one), let me know. How did you use a hint there? I don’t see the option. I was able to get the hints working on my iPad, but for some reason there’s no option on my iPhone. It just shows me cracks in all the jars. Could it mean that you need to break every jar in the game? 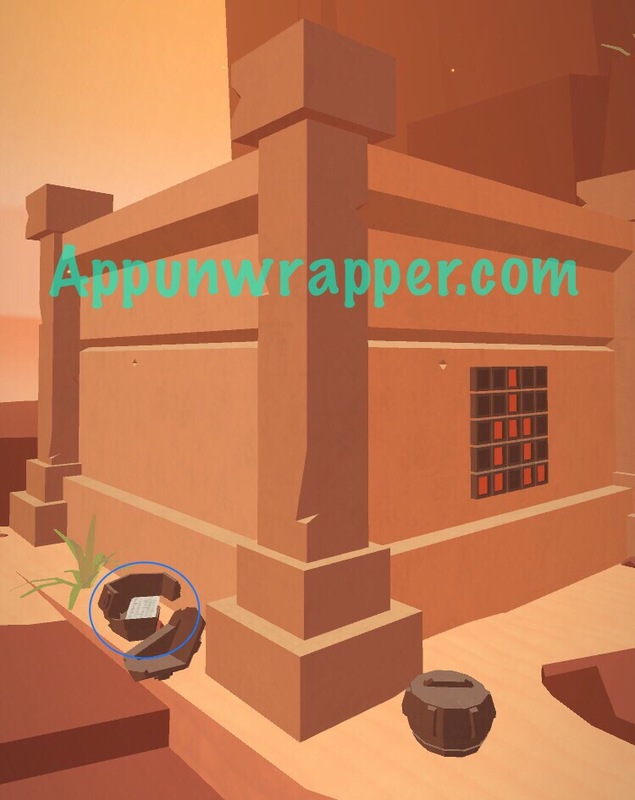 Where are you at AppUnwrapper? You’re suppose to have this figured out by now ? Can you confirm what I wrote is accurate or do I just have a broken iPad?? Most likely it’s only a glitch but I’m not discarding just yet. Very interesting game. Still no clue what to do in the secret level or how to use the coordinates. Let me know if you do!! 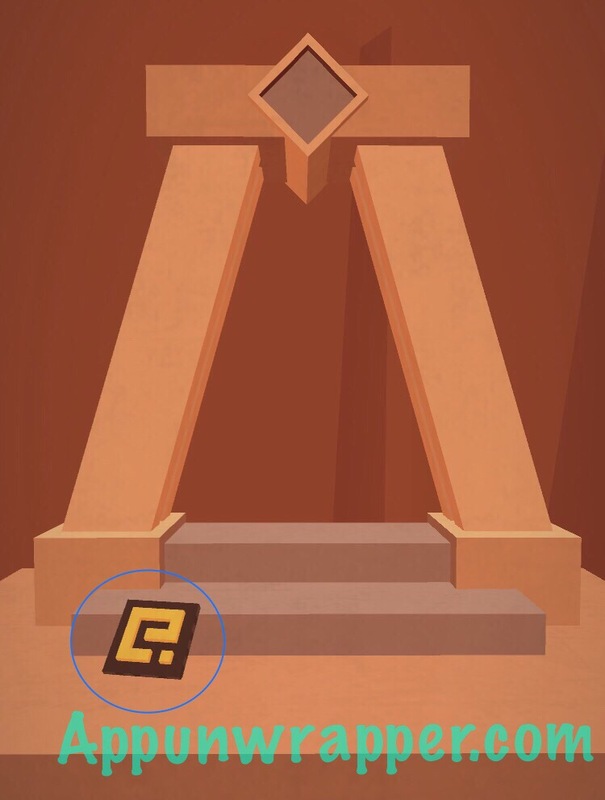 Do you think there’s any significance to the gate block on the opening screen of the game? 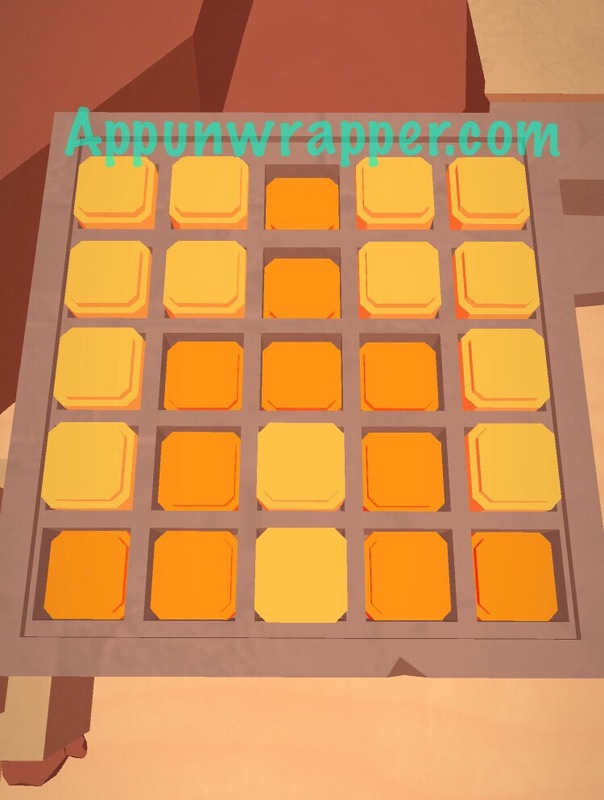 I’ve tried to find a place to input it, like you do with all the other gate blocks in the game (I’ve tried the 25-block grid in level 1, and the rotating pipes in level 16), but I can’t seem to find a spot for it. Thanks for the walkthrough! I considered that, too, but I can’t think of any place it could work. The 25 buttons wouldn’t be enough because the design is too intricate to fit on it. Thank you! I was having trouble finding the 3rd letters in the levels. Thanks you so much for the walkthough!! I can’t believe how much effort you put it it, a video and tons marked up screenshots with explanations! And thank you for the letters too. Thank you very much! Thank you so much for the walk through. I was having problems finding the third letters too I’ll be curious what you find in the hidden level. All I can see is jars to break too. I’d hate to need to use the walkthrough for all 18 levels – can the game be completed without the “3rd” letters on each level? The letters are part of some bonus stuff. You can absolutely complete all 18 levels and then go back and look for any letters you missed after. 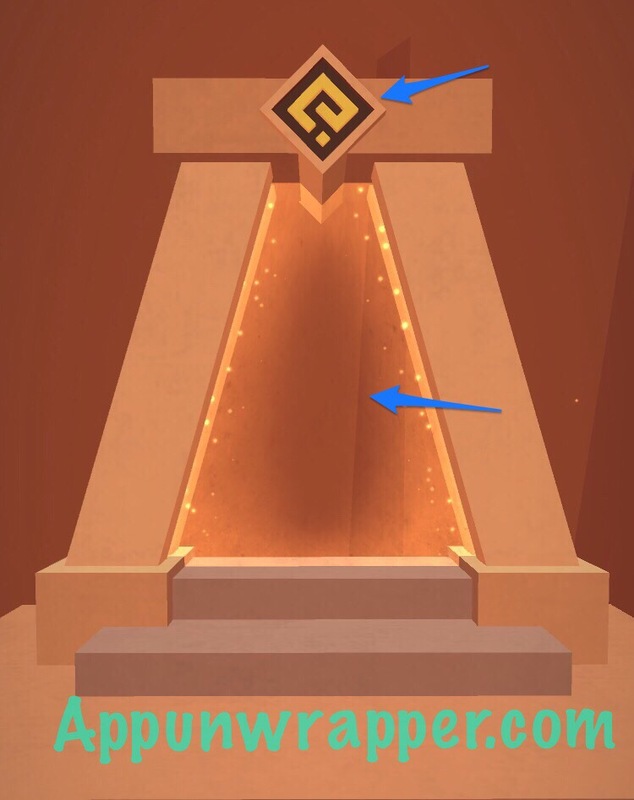 If you use a hint in level 4 right before you pick up the final key block, a pillar in level 0 will shine bright (like it becomes enabled). Not sure the significance of this find but it is something different. I was taking a look at the coordinates independently before finding this walkthrough and I noticed that all the coordinates for levels 2-18 are very small and only the second half of each pair ever breaks the 0.01 mark. So I had the idea of multiplying each pair by 1000, believing that the first numbers never reached 0.01 because latitudes only ever have 2 digits while longitudes can have 3. Sadly, the map results still don’t point to any particular locations and don’t form any pattern but they end up a lot more spread-out this way. My personal opinion is that all of the coordinates excl. the ones from the final note are too small by a factor of 1000. I went through the process of multiplying them all and looking up the points but they didn’t make a pattern or point to anything meaningful when I tried that either. I am making what I think is progress on level 0. Note that there’s that nice tile floor. I’ve got some graph paper and am making a map of jars. I have three hypotheses: 1. The coordinates when layed out on the grid will tell you what pots to break. 2. Perhaps the pots will form a 7×7 grid, in which case I could break them in the pattern given by the tile on the intro screen. 3. Perhaps mapping the broken pots in the hints you discovered will be interesting somehow. I’ll let you know what I discover! Have you found anything for the bonus level yet? So I might be totally grasping at straws here, but here’s something I found. If you plug in the coordinates of the first 17 levels on Google Maps, be sure to switch the view from “map” to “satellite”. On the map there is nothing, but on the satellite view you can see that the coordinates are all on a small island/group of islands, possibly underwater. I can’t find any info on named/inhabited islands that far west in the Gulf Of Guinea, but the coordinates are DEFINITELY intentionally put on the island/group of islands. This island has a name and even a wikipedia page: Null island. It’s also fictional and completely unrelated to this game. Sorry. This is the best walkthrough I have ever come across! I don’t know why 99% are without audio. Yours’ is perfect! Thanks a million! No idea if this is related to “Level 0”. I tried following the coordinated by tapping the same pattern on the home screen’s portal, but didn’t observe anything unusual. Tried swiping the whole thing also with no effect. When I open level 0 it shows literally nothing. Just the desert-like background. Maybe it is because I broke all the things in every level? metoo,maybe when you break all the jars in the level1-18 ,the level 0 will change to the desert-like background? I have an idea of what level 0 is about. The level 0 contains all the jars in the game. Like what you have demonstrated, level 0 shows the positions of the remaining jars to be cracked in the level which you just entered. RE: #6 of Level 18: AARGH! !